A Credit Card is to hold your reservation and also secure your service. You will not be charged until the day you use our service. We will apply the final charge once we confirm the final extras such as: Tolls, Parking, Early or Late Fee, Extra Stop or Waiting Time. What should I do if I cannot locate my chauffeur at the airport? You should call 877-200-1516 and speak to a dispatcher. Never leave without giving us a chance to locate the chauffeur. Leaving without calling, you will be billed for the full price of the service. What kind of car we use for economy sedan? We use Chrysler 300. Lincoln MKS. Mercedes. Or if all sedans are busy we use Chevy Suburban. What if I lost something in vehicle, do you have a “Lost and Found” department? We monitor all flights arriving at all airports. Our system automatically updates your reservation with any changes in arrival time. You do not need to call us if your flight is delayed. However, you do need to call us if your flight information changes (e.g., if you are bumped to a different flight or you miss your flight). We are traveling with children do you provide car seat? Yes, we can provide the car seat or booster seat depends on your need. We charge $15.00 dollar fee for each car seat or booster seat. But the parents have to set up the car seat in the car. No smoking is allowed in the vehicle. No alcohol permitted on the vehicles Day Trips. No alcohol permitted on the vehicle if any minor (under 21 years of age) is present. MLS representative/chauffeur reserves the right to refuse service to any passenger for any type of gross misconduct or inebriation. We suggest reservations be made 24 hours in advance to secure your service. If you have web account you can book online minimum of 5 hours in advance. For last minute reservations, please call us at 877-200-1516 depends on our availability we will do our best to accommodate you. How do you meet passengers in the airport? Terminal B: Meet your chauffeur outside the Terminal on the Ground (Baggage) Level in the limousine parking area which is across the the crosswalk. Terminal E: Meet your chauffeur outside the Terminal on the Ground (Baggage) Level in the limousine parking area which is straight across two (2) lanes of traffic then to the left. How can I open up an account with Master Livery Service? b) Corporate or small business account. You can simply create web account clicking on this link. Do you have online reservation service? Yes! 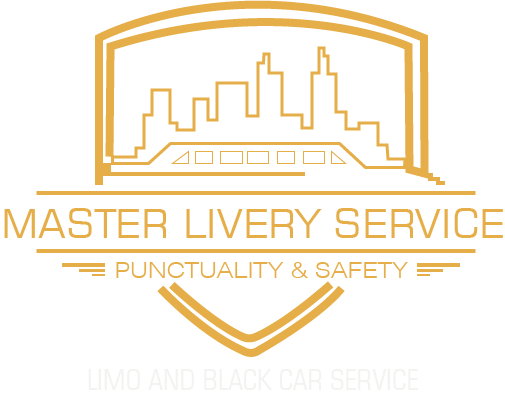 Our online reservation system is simple and easy it takes only a minute to book a limo service. Do you charge extra for waiting Time at Airport Arrival? For domestic Arrivals: After your flight landed we give you 45 minutes free waiting time. For International Arrivals: After your flight landed we give you 60 minutes free waiting time. After free waiting time we will add extra waiting time charge. Yes, all Master Livery Service vehicles are smoke-free. Are your rates for airport transfers per person? Our rates for airport transfers are per trip not per person.